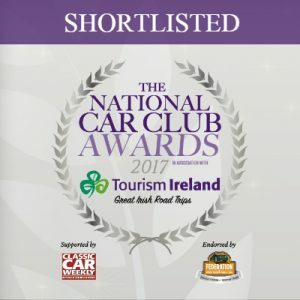 The finalists in the 2017 National Car Club Awards, in association with Tourism Ireland, have been revealed. This year has seen the most nominations from clubs and club members to date. Supported by Classic Car Weekly, and endorsed by the Federation of British Historic Vehicle Clubs, the overall Award winners will be announced at the awards dinner on Saturday 1st April at Birmingham’s NEC. This entry was posted in ArchiveProject, News on 4th March 2017 by Chris Charles.